Sarah is an avid supporter of organ education. She serves on the RCCO National Strategic Planning Committee as well as the RCCO National Communications Committee, and is a 2018/2019 RCCO Traveling Clinician. She is an adjudicator and an organ instructor, and she is also heavily involved in the organization of the RCCO’s annual Summer Organ Academy. Sarah is a regular guest artist for Toronto DARE Arts, which is an inner-city arts education program. She is also well-known for giving child-friendly educational organ outreach concerts and workshops. In the fall of 2014, the Canadian Broadcasting Corporation (CBC) released a video recording of Sarah playing Bach’s Toccata and Fugue in d minor on its YouTube channel. In June of 2015, Sarah was part of the Luminato Festival production and CBC Radio 2 broadcast of Canadian composer R. Murray Schafer’s Apocalypsis, playing the sole organ in an ensemble of over 1000 under conductor David Fallis (click here for CD information). Some of Sarah’s other engagements have included the St Paul’s Cathedral Sunday Organ Recital Series (U.K.), the St. Andrew’s Episcopal Church Concert Series (Pittsburgh, U.S.A.), the Truro Cathedral Lunchtime Concert Series (U.K.), the Stratford Summer Music Festival (Canada), and the Copenhagen International Organ Festival (Denmark). When not concertizing, Sarah spends her time in Toronto freelancing and pursuing a DMA in Organ Performance under Dr. Patricia Wright at her alma mater, the University of Toronto. Sarah holds a Master’s degree in organ from the Yale School of Music where she studied with Professor Thomas Murray. This degree was in conjunction with the Yale Institute of Sacred Music where she completed the Institute’s Church Music Diploma. 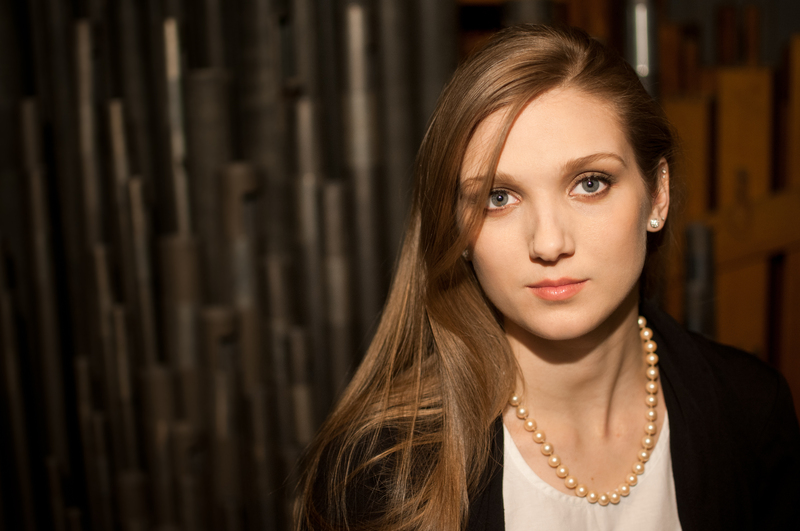 For the 2013/14 Yale academic year, Sarah was the organist for Battell Chapel, Yale University Church. From 2009 until 2014, Sarah was the assistant at Toronto’s Metropolitan United Church, known for housing the largest pipe organ in Canada. Sarah was born and raised in rural Nova Scotia, Canada.